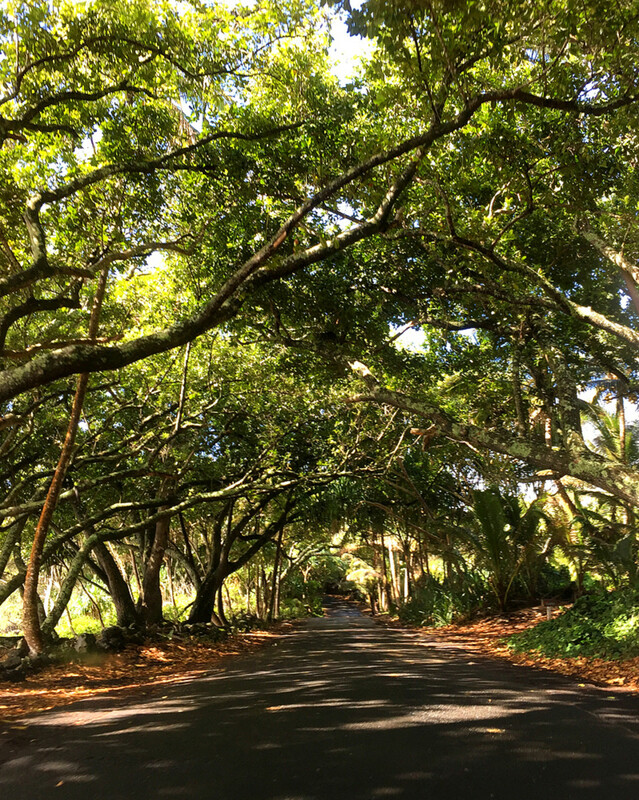 The author lives in a quiet seaside community in lower Puna on the Big Island. He's an avid gardener, traveler and photographer. 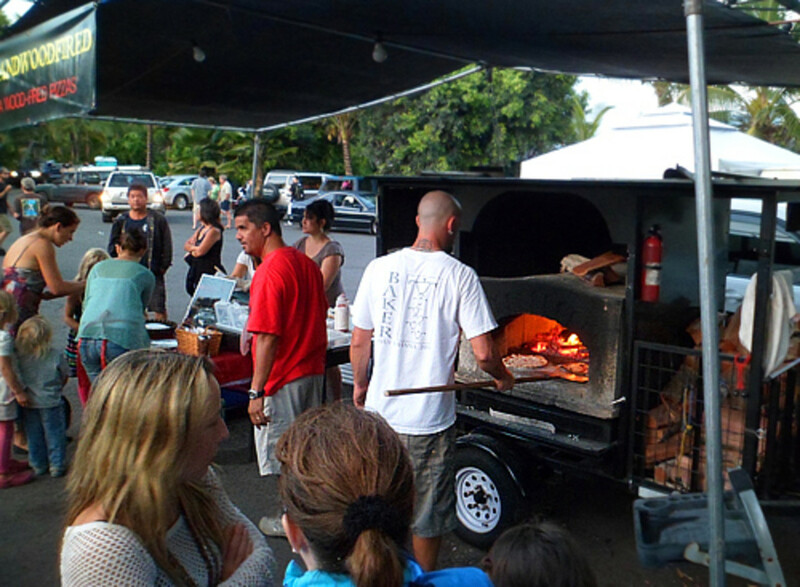 Residents of the Big Island's lower Puna love Wednesdays. Why, you ask? 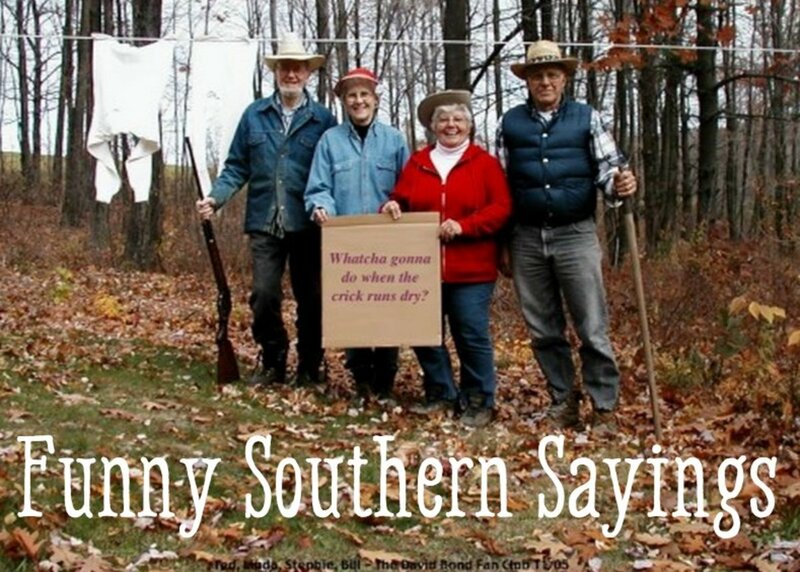 Because that's when the weekly farmers' market at Uncle Robert’s happens! Uncle Robert Keli'iho'omalu is the legendary and beloved patriarch of the old Kalapana village, and the market takes place at his family compound, located at the south end of the Red Road near the New Kaimu Black Sand Beach. 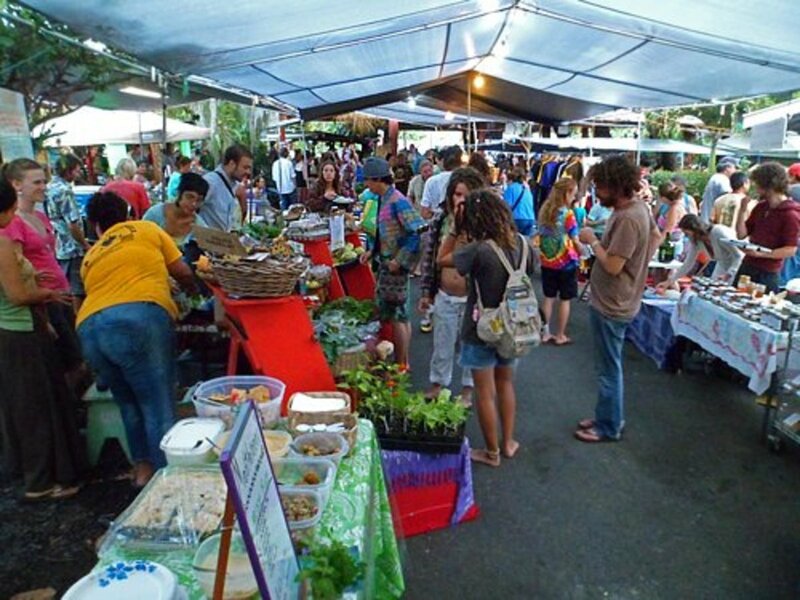 Normally it’s a quiet neighborhood of quaint beach shacks and lush coconut groves, but on Wednesday night it transforms into a huge open-air market bustling with people eager for fresh produce, tasty food, and live music. 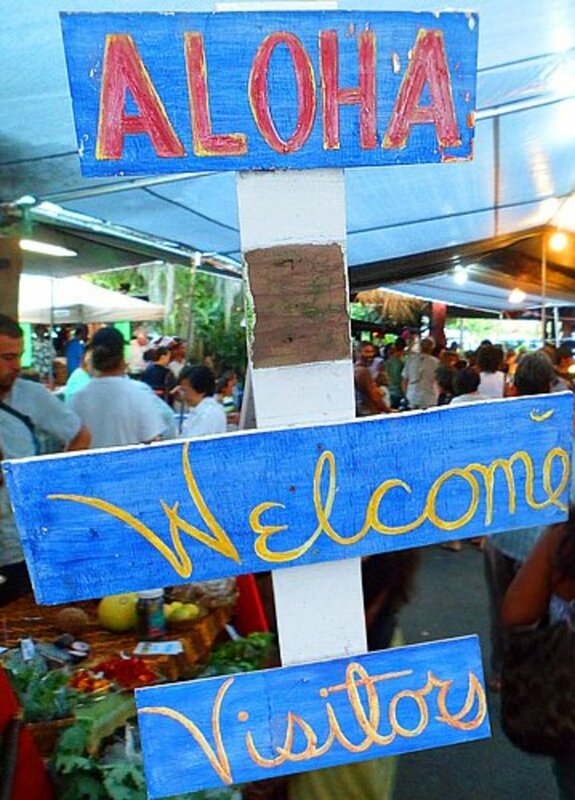 It’s a lively market full of wonderful sounds, sights, and smells—not to mention lots of friendly aloha spirit—and everyone is welcome. 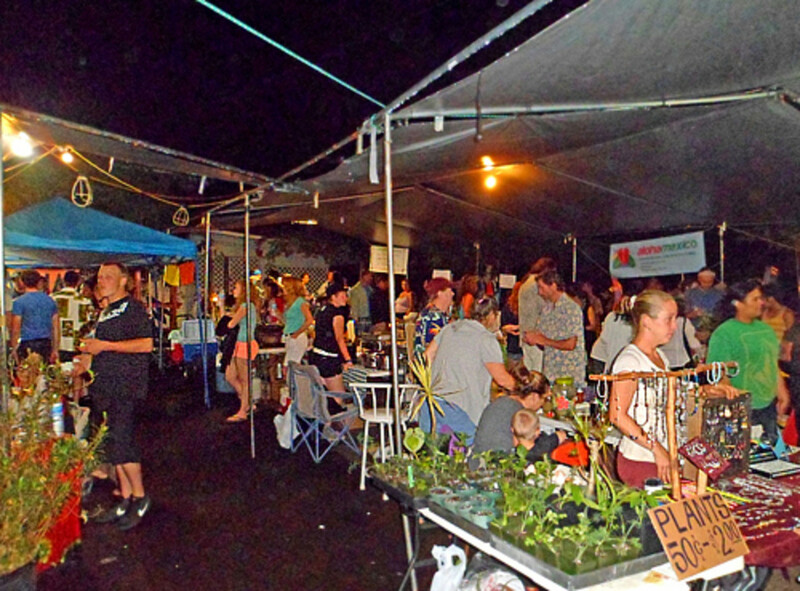 The Kalapana farmers' market runs every Wednesday night from 5 PM to 10 PM. 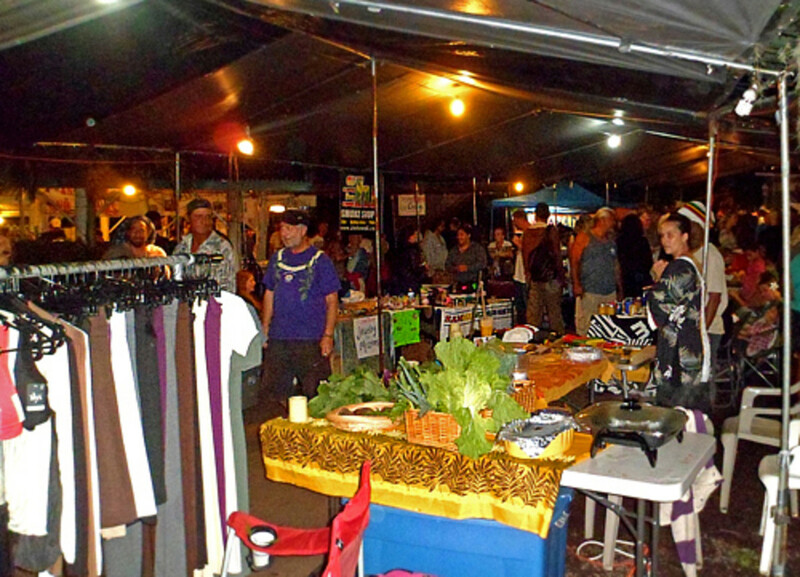 The night market is the biggest social event of the week, drawing people from as far as Hilo and Volcano. 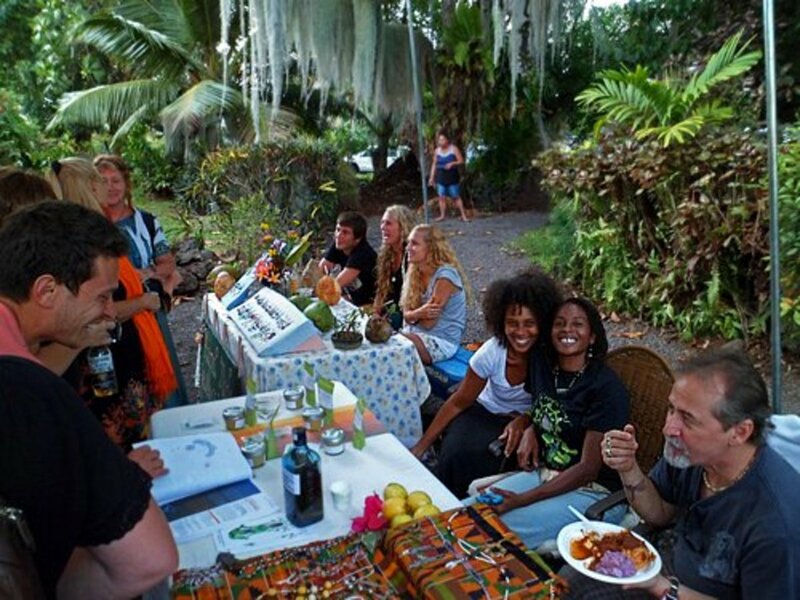 It’s a place where friends and neighbors meet up to “talk story” and listen to live music. Everyone seems to know everyone, but it’s also a place where you can easily make new friends. Recently, tour agencies have started bringing tourists down to Kalapana so they can experience this one-of-a-kind market. 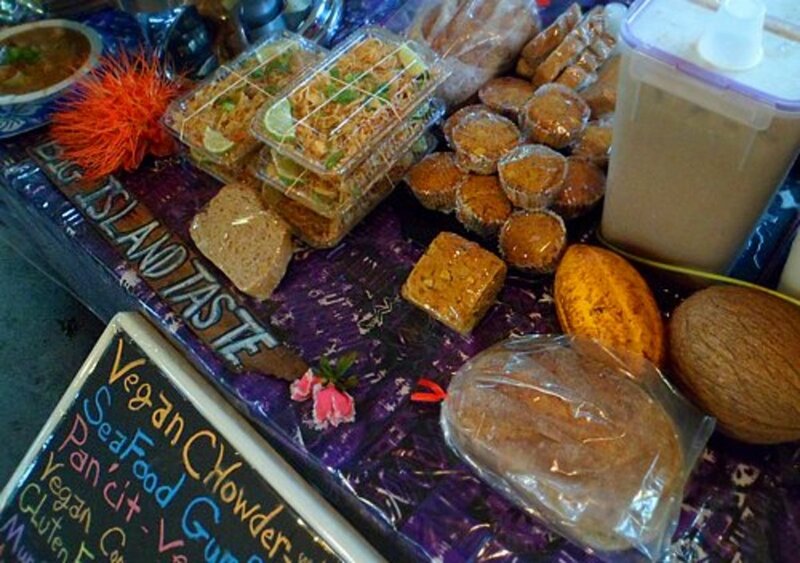 Some visitors have compared it to other festive night markets in Thailand or Hong Kong! Wednesday is also the one night that people don’t have to worry about making dinner, as almost everyone goes to the market to eat! There’s a great variety of delicious (and cheap!) foods prepared and cooked on the spot by local vendors. Besides fruits and vegetables from local farms, you can also find all sorts of clothing, arts and crafts items, herbal remedies, and hand-made jewelry for sale. You will find grandmas selling pies, gardeners selling plants, and hippies peddling fresh eggs and raw honey. The most crowded area in the market is where all the food vendors set up their makeshift kitchens. Just follow the sizzling and popping sounds and the mouth-watering aroma of food being cooked, and you will find what you want to eat! There are many choices of wonderful ethnic foods for you to choose from, such as Thai, Chinese, Indian, Mediterranean, Russian, Mexican, Italian, Samoan, Filipino, Japanese, Korean, and of course the popular Hawaiian barbecue: huli huli chicken and kalua pork. There’s even pizza made to order and baked in a wood-fired oven on the back of a pick-up truck! People enjoy their dinners at dozens of communal picnic tables amidst strings of twinkling lights. Meanwhile, a band of local musicians sings beautiful Hawaiian songs, old folks get up and dance, kids run around, and people relax under the warm night sky. Drive slowly and watch out for people walking along the narrow road that leads to the market. Come early to get a seat at one of the picnic tables in front of the music stage. The tables will fill up quickly as more people arrive throughout the night. If you’re thirsty, there are all sorts of drinks available from many vendors, including veggie juice, fruit juice, and smoothies, as well as fresh coconuts. Get a kava-kava drink from the tiki bar near the market’s entrance. It’s a traditional Polynesian drink made from the ‘awa root that is known to make people feel all groovy and mellow! Try the wood-fired pizza! But expect to wait 20-30 minutes since they make it fresh on the spot (dough, toppings, and all!) and baking times vary. I recommend placing your order and walking around the market while you wait for your pizza. If the crowd and noise of the market are too much for you, get your food and drinks to go, and walk down the trail to the new Kaimu black sand beach for a beautiful sunset picnic. Please don’t litter! Just take your trash back with you and throw it away at the market. From Hilo, head south on Hwy 130 (Keaau-Pahoa Road) toward Pahoa village. 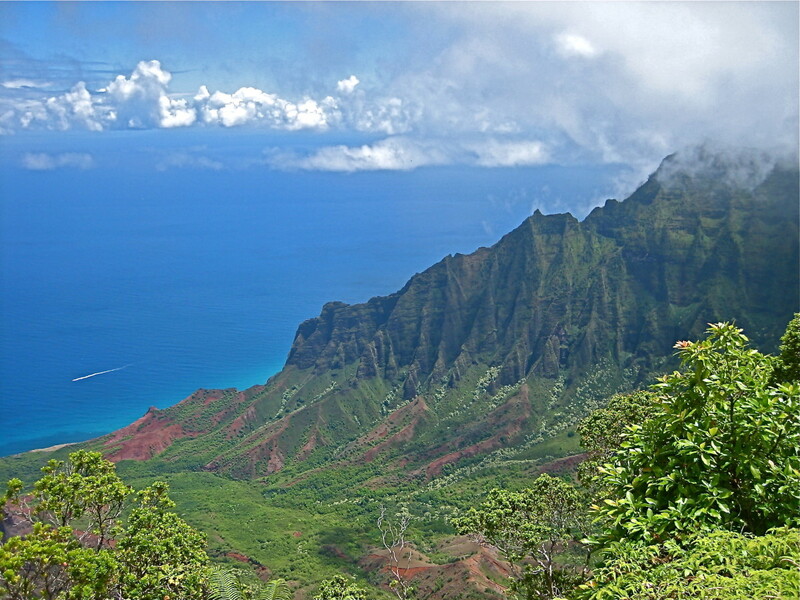 After passing Pahoa, continue on Hwy 130 and drive 10 miles down the hill toward the ocean. At the stop sign at the T-intersection, turn right onto Kapoho-Kalapana Road, which leads straight to the market in less than a mile. There will be hundreds of cars parked along this road and some backed-up traffic as market-goers try to find a parking spot. There is also a big parking lot on the lava field between the market and the new Kaimu black sand beach at the end of this road (look for the sign). All photos were taken with a SamsungPL120 DualView 14.2MP Digital Camera. I was wondering if you by chance know the status of Uncle Robert's due to the lava flow? I saw your post about the farmers market being permanently closed; however, I didn't see any other "general" update about whether the whole "village" was affected or not. Any update would be greatly appreciated. 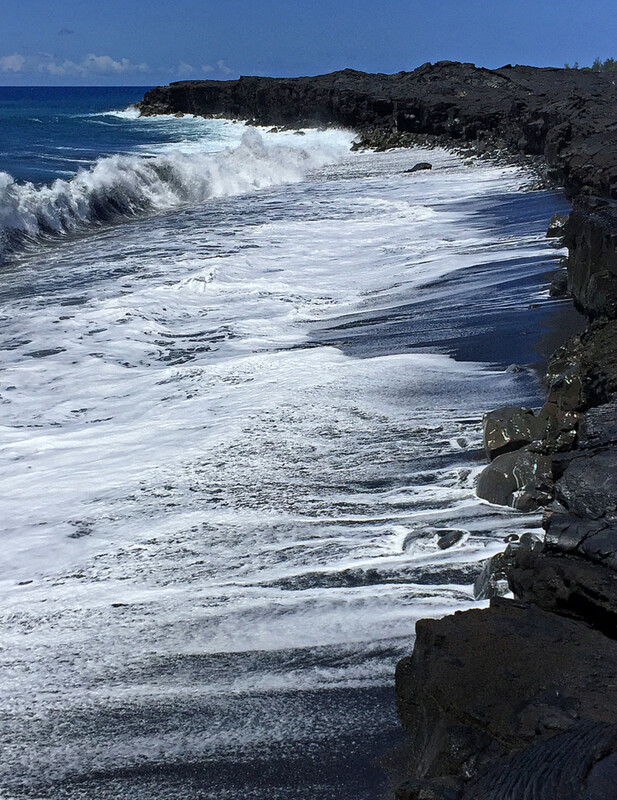 Uncle Robert's and the Kalapana black sand beach are safe and unaffected by the current lava flow in lower Puna. The Wed night market is slowly coming back but only local residents can go because Hwy 130 is restricted to local residents only. Visitors and tourists are not allowed to go through the police/military road block at the Pahoa intersection. 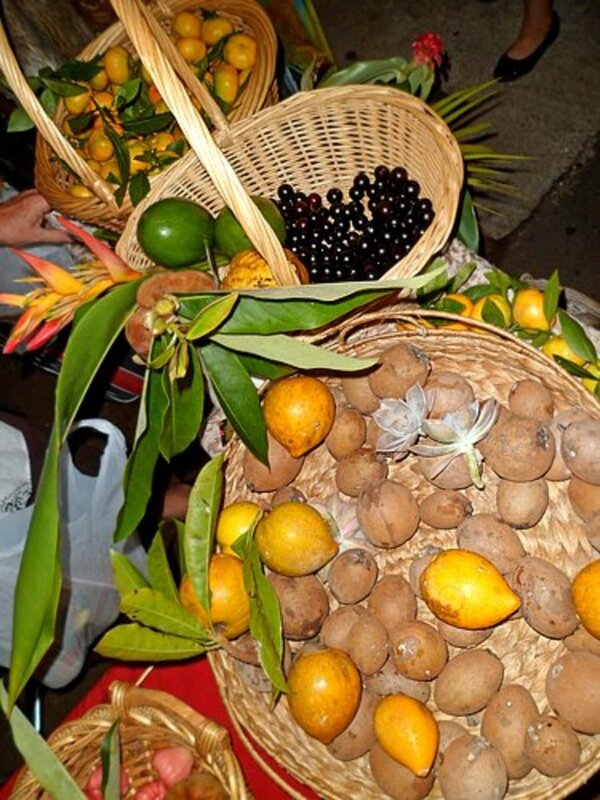 I am planning to attend Kalapana's Night Farmer's Market. I am a little confused heading down from Hilo. I read 130 is the way to go, but that it is for locals only. What is the right way? Yes, Hwy 130 (also called Pahoa Kalapana Road) is the ONLY road that takes you from Hilo to Uncle Roberts night market in Kalapana. It is now open to everyone, locals, and visitors. Hwy 132 and 137 are both partially buried by lava flow from the volcanic eruption earlier this summer, so they are now closed and inaccessible. Google Maps still shows both these roads on their map, but that is incorrect! My husband and I are going to Hawaii the first week of September. 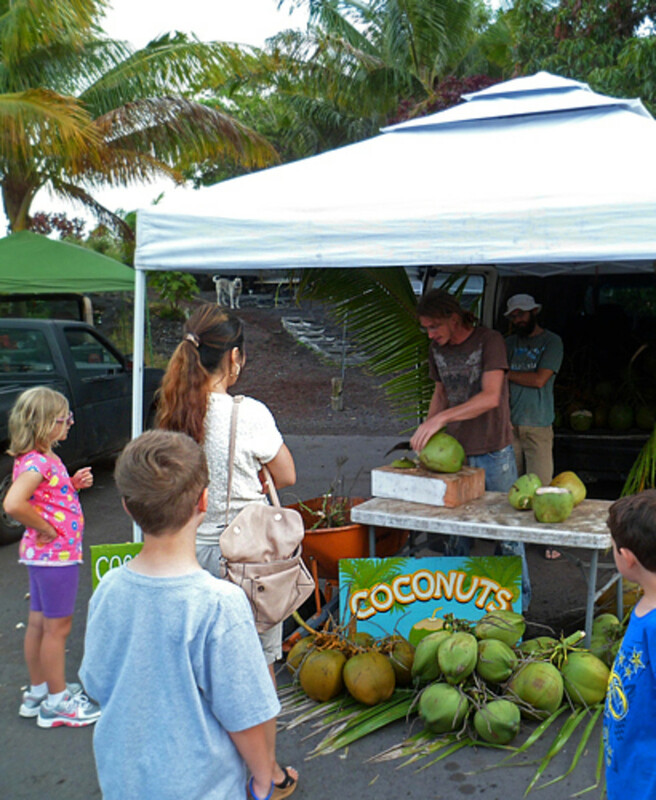 Will the Kalapana's market be open to tourists by then? Uncle Roberts Market has already been re-opened since July. It is as lively as ever! 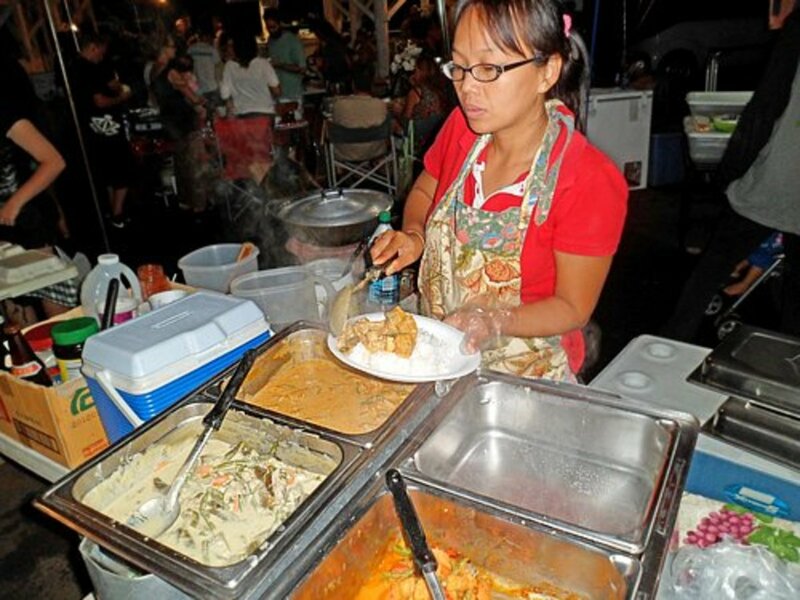 Both locals and visitors are glad that this popular night market is back in full swing. What area on the Big Island of Hawaii is best for accommodation for the Wednesday night market and then more nightlife afterward? 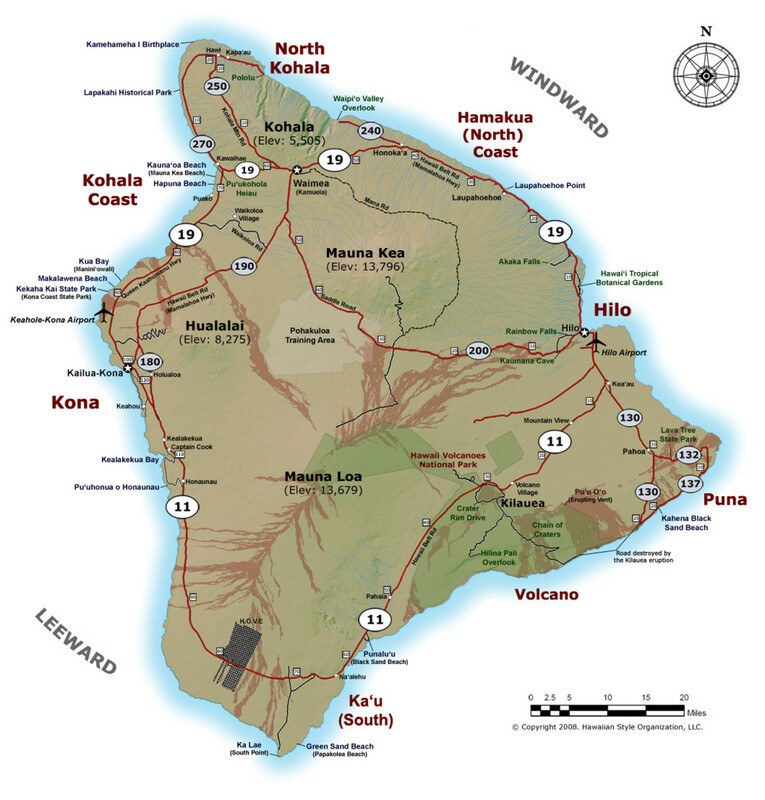 Airbnb or vacation rentals are your only accommodation choice since there are no hotels in lower Puna. This is a remote rural area and with the exception of the market on Wednesday nights, there is no nightlife here! 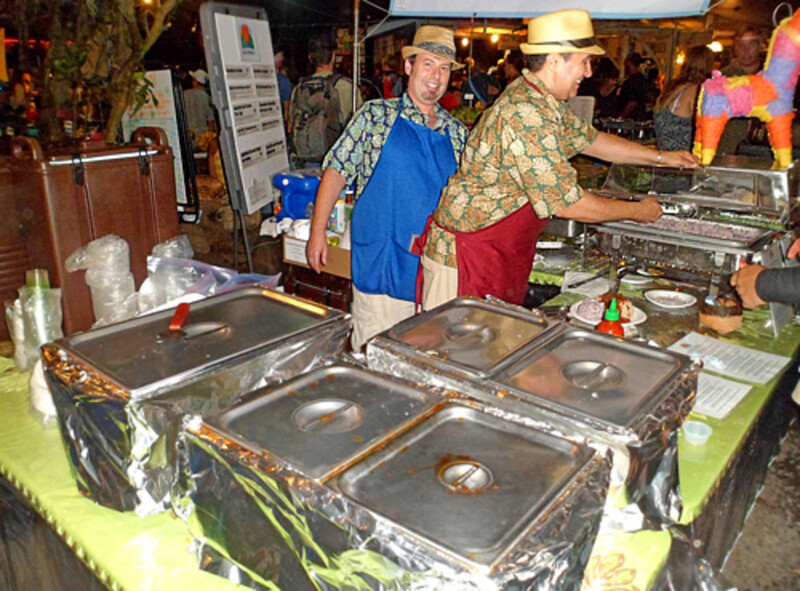 Most tourists stay in Hilo, a big city with hotels, and take the one-hour drive (each way) to the night market. Uncle Robert's night market is back in full swing! Hwy 130 is now open to all traffic, so anyone - locals and visitors - can take this road to come down to the market on Wed nights. However, Hwy 137 (the Red Road) is only open between Uncle Roberts and Kamaili Road. The lava flow has buried many parts of this beautiful road. No, you cannot see the active lava flow from this road! There is a roadblock by the National Guards just past Kamaili Road to turn people around. Aloha! Are there any special events stiil happening at UNcle Roberts Awa Bar. I know only the Locals are allowed through at this moment but was planning a trip very soon and would love to visit this place. Heard alot about it. 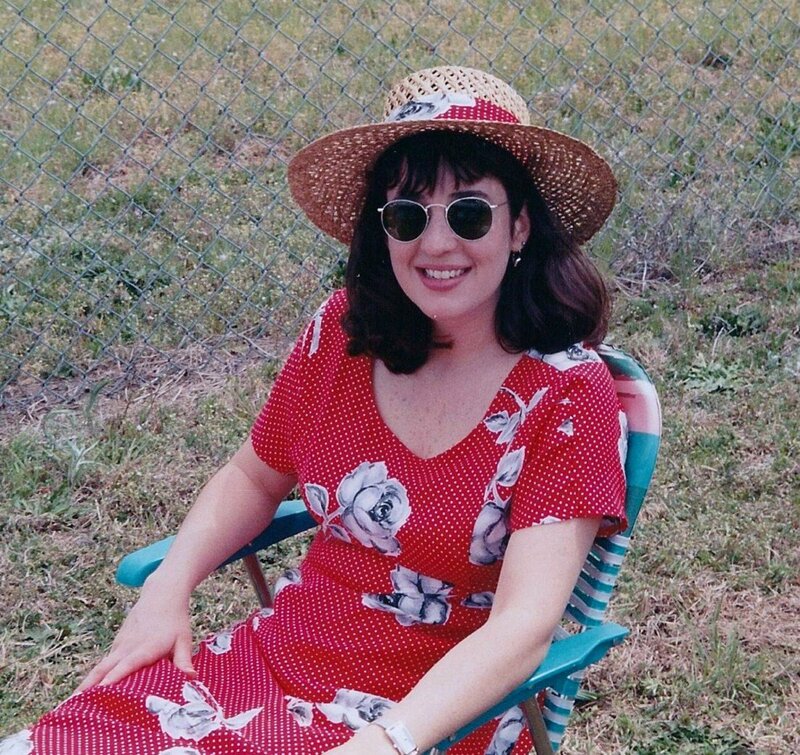 Aloha Emily! The market will be on during Merrie Monarch week. May be a little less crowded than usual but will be as festive as ever! And if you're in luck, there might be some hula dancing performance at the market that Wed night to celebrate Merrie Monarch. Hi Viet - do you know if the market will still be going on during the Merrie Monarch fest this year - Apr 4? Thanks! Aloha Jason, the night market is on everyday Wed evening. There's is a smaller day market, at the same location, on every Sat morning. Have fun at the market! thanks for the great recommendation! but I've come across conflicting sites, some say the night market is Wednesday, some say it's Saturday?! is it on both nights?? This is a great weekly event. Lots of family feelings and a great time. Much mahalo for the update! I was wondering when the market will re-open. The residents of lower Puna miss it terribly!